Aerial skier and Olympic silver medalist Jeret "Speedy" Peterson died from a self-inflicted gunshot wound, a spokesman for the Utah Unified Police Department of Greater Salt Lake said. Police responded to a 911 call Monday night from Peterson, who said he was going to commit suicide and gave them his location in Lambs Canyon, Lt. Justin Hoyal said. He was already dead by the time officers arrived at 11:30 p.m. ET, Hoyal said. "This is a sad day for Boise and for all of us who admired Speedy Peterson's accomplishments, both on the slopes and in his life," said, Boise Mayor Mayor David H. Bieter, who presented Peterson with the Key to the City last year after he medaled in the 2010 Winter Olympics in Vancouver. "The hundreds of kids who came to City Hall to shake Speedy's hand after he medaled in Vancouver last year are a living testament to his power to inspire and motivate. It is truly tragic that, in the end, there was one hill he wasn't able to conquer. My thoughts and prayers go out to his family and friends." Peterson won a silver medal in the 2010 Olympic Winter Games for freestyle skiing after pulling off his signature move, the Hurricane. Peterson picked up the nickname "Speedy" at a summer ski camp in Lake Placid, New York, in the mid-1990s because coaches thought he resembled the cartoon character "Speed Racer" with a big helmet, according to the United States Ski and Snowboard Association website. He won the 1999 U.S. Junior Championship and took bronze at two straight World Junior Championships in 2000 and 2001. His life was not without tragedy. He reportedly considered suicide after losing $550,000 in blackjack earnings, according to The New York Times. His half-sister died in a drunken driving accident when he was 5. A friend committed suicide at his house, in front of him. "The personal challenges Speedy has battled are familiar to all of us, and on behalf of the U.S. Olympic Committee, I'd like to offer my sympathy to Speedy's family and friends. Today is a sad day," U.S. Olympic Committee CEO Scott Blackmun said in a statement. "I know Speedy's friends and family were incredibly proud of his effort in Vancouver, and his achievements were an inspiration to people all over the world." 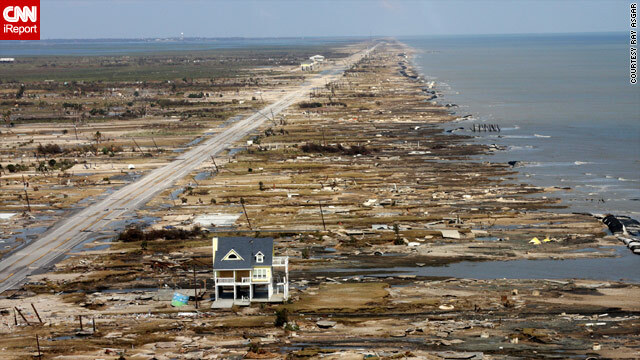 A 2008 photo shows the devastation that Hurricane Ike's sea surge left in Gilchrist. This elevated house survived. Pam and Warren Adams aren't so lonely in Gilchrist, Texas, anymore. In September 2008 they became known as the owners of the "last house standing," the only structure on Gilchrist's Gulf Coast side to have survived Hurricane Ike's massive sea surge, thanks to the stilt-like columns that lift the home 22 feet above normal sea level. (See the original iReport.) Now, the house still is the sole Gulf-side structure for several blocks, but there's been plenty of activity within shouting distance, on the narrow peninsula's other side. 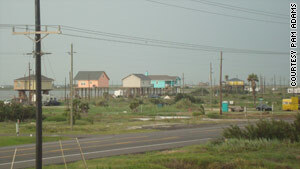 New houses have been built in Gilchrist, and elsewhere on the Bolivar Peninsula, since the hurricane. Perhaps three-dozen structures have been built or repaired on Gilchrist's East Bay side, across State Highway 87 from the couple's home, Pam Adams says. On the whole Bolivar Peninsula - a thin strip of land between mainland Texas and the Gulf where Ike reduced 5,500 homes and businesses to about 1,500 - about 3,000 homes and businesses stood with water service as of last month. The Adamses not only stayed on the peninsula (it took them a year to repair damage to the home and make it habitable again), they doubled down. One of the new structures across the highway is their new restaurant, FantaSea BBQ & Grill, which they opened last year. Pam says it's one of about three businesses currently open in Gilchrist. 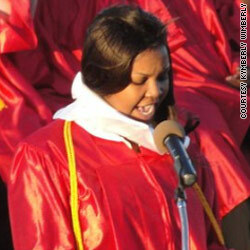 Valedictorian sues school: Was she snubbed because of race? A recent high school graduate from Arkansas is suing her school district, claiming it refused to recognize her as the school's sole valedictorian because she is black. Kymberly Wimberly, 18, earned the highest grade point average in McGehee Secondary School's 2011 graduating class. She did so as a young mother, according to the complaint she submitted to the U.S. District Court for Arkansas' Eastern District. She was named the school's valedictorian and then later given co-valedictorian status with a white student who had lower grades, her complaint says. No legal response has been filed by lawyers for the school district or any other school or district representatives, according to court officials. Superintendent Thomas Gathen said he has yet to be served with any sort of court documents. Because of this, Gathen said he was unable to comment on several individual issues brought up in Wimberly's complaint. "The issue that someone’s trying to paint is that this was a racially motivated," Gathen told CNN. "That wasn’t an issue with (the co-valedictorians). This is strictly an academic issue and a policy issue, not a racial issue." Wimberly is seeking punitive damages of $75,000 and recognition as the sole valedictorian of her class. Wimberly's complaint also argues the McGehee school district, in southeastern Arkansas not too far from the Mississippi River, habitually withheld access to challenging classes from black students. Wimberly said students were told at a schoolwide assembly that advance placement classes were very rigorous and that only those who really thought they would thrive with intense workloads should elect to take them. Then, individual students were taken aside and told that the classes really weren’t all that bad, she told CNN. The overwhelming majority of those students were white, she said, adding that she was the only black student in her AP literature class and one of two in calculus. Wimberly said she had one teacher, for AP biology, who encouraged all students to take the class. Its racial makeup was half black, half white, and was more reflective of McGehee's student population, which is 46% black. The case has been gaining increasing attention since Courthouse News Service reported on it Monday. Filed under: Arkansas • Civil Rights • Courts • Education • Justice • Race • U.S.
A 14-year-old suspected hit man was captured near Mexico City in December. A 14-year-old born in the United States has been found guilty in a Mexican court of torturing and beheading at least four people and kidnapping three others. The teenage hit man was sentenced to three years in a correctional facility, the maximum allowed under Mexican law. He also has to pay a 4.5 million Mexican peso fine ($387,500 U.S.). The defendant, known as "El Ponchis" ("The Cloak") is a 14-year-old boy from San Diego. Because he is a minor, his trial in Cuernavaca, Mexico, was closed to the public. He was captured near Mexico City in December. In an on-camera interrogation by Mexican military authorities, the youth admitted to brutally killing people - the victims all were beheaded. The video shows a military interrogator asking the slim teenager with curly hair several questions. "How many have you killed?," he asks. "How did you execute them?" A YouTube video that circulated last year purportedly showed the teenager beating a man with a two-by-four while the man was tied at the wrists and hanging from the ceiling, as other young people watched. The teen was accused of of crimes related to drug trafficking - specifically cocaine and marijuana - illegal possession of military weapons, and violations against federal organized crime law "with the objective of committing kidnappings and aggravated murder," juvenile court spokesman Juan Carlos Castro said before the trial. "El Ponchis" is not the only minor in Mexico allegedly involved with drug cartels. Social media pictures have surfaced in the last year showing teenagers and young men holding high-caliber assault weapons and wearing masks. Six youths were captured last October in a town about 30 miles south of Mexico City. Graffiti in the house where they were hiding linked them to the so-called South Pacific Cartel, a splinter group that formed after cartel leader and drug lord Arturo Beltran Leyva was killed in a shootout with the Mexican military in December of 2009. Glenn Beck is taking heat for comparing the Norwegian summer camp, run by the Labour Party and where most of the 76 victims in the terror attacks died, to the Hitler Youth organization. 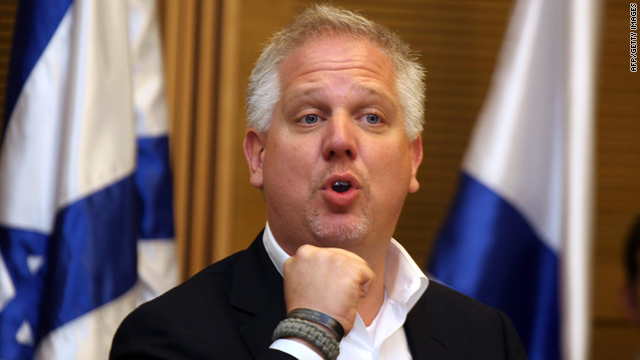 Conservative commentator Glenn Beck is back in the spotlight. On Monday, he compared the summer camp in Norway where most of the 76 victims died to the Hitler Youth organization of Nazi Germany. Although he condemned the recent attacks, he also questioned what the victims were doing at a summer camp run by Norway's ruling Labour Party. There was little debate about this story; nearly all CNN.com readers shared their disgust for Beck’s comments. An earthquake with a preliminary magnitude of 5.9 struck Tuesday morning in the Gulf of California, off the coast of northwestern Mexico's Baja California Peninsula, the U.S. Geological Survey said. The quake happened at 11:44 a.m. MT, just more than 50 miles southwest of Los Mochis, Mexico, and 588 miles south-southeast of Phoenix, Arizona, according to the USGS. At least 76 people died in Norway in a terror attack July 22 that started with a bomb blast in the capital Oslo and continued with an hour-long gun rampage at a camp for Labour Party teens and young adults on nearby Utoya Island. Police arrested a lone gunman, Anders Breivik, 32. [Updated at 12:42 p.m.] Here are the latest developments. - President Barack Obama and Vice President Joe Biden visited the Norwegian ambassador's residence in Washington Tuesday to "offer condolences to the people of Norway after the tragic killings that occurred last week," according to a White House statement. - Police in Norway have released the first four names of victims of Friday's terror attacks. Three of the four identified died in an explosion outside government offices in Oslo. The fourth, named as 23-year-old Gunnar Linaker, died on Utoya island, scene of a mass shooting at a youth political camp. - There are other countries involved in a Norwegian investigation into last week's terror attacks, police said in response to a question about suspect Anders Breivik's claim to have been in contact with terror cells abroad. Police declined to name the other countries, saying "the investigation is in Norway." - Police investigating a terror attack in Norway last week will examine video footage and study the blast effects to determine where a bomb was placed, they said Tuesday. - Police in Norway have 15 forensic scientists combing Utoya island for clues following a mass shooting there last week, they said Tuesday. A plane crash in southern Morocco killed 78 people Tuesday, the state news agency reported. The Moroccan C-130 military plane crashed in the southern part of the country, state-run Agence Maghreb Arabe Presse reported. The aircraft, belonging to Morocco's Royal Armed Forces, crashed into a mountain as it attempted to land at a military airport about eight kilometers (five miles) away, the news agency said. Three people were hurt. The worst drought in 60 years has hit the Horn of Africa region, an area in east Africa that includes Somalia, Ethiopia and Kenya. A recent satellite-derived animation from the European Space Agency illustrates the crisis as it worsened over the summer. The images above show soil moisture in the region from April to mid-July of this year. Green and blue depict higher levels of soil moisture while the increasing spread of orange and yellow illustrates areas with little to no moisture. The drought has led to starvation and the loss of crops and livestock. Food prices have nearly tripled in some areas since last year, worsening the crisis. The United Nations officially declared famine in parts of Somalia last week, and thousands of people have fled their homes and crossed borders in search of water, food or aid. As debt ceiling talks continue, last night both sides presented reasons for a stalled solution. President Barack Obama called the political showdown "no way to run the greatest country on Earth" while House Speaker John Boehner insisted that excessive government spending is the root cause of America's financial problems and that expenditure cuts are the only solution. Based on their comments, CNN.com readers are frustrated by the deadlock and many blame Republicans and House Speaker Boehner for not being willing to compromise. TheRealist20 said, “Boehner chooses to make extra cuts to Medicare and Social Security so he can preserve tax CUTS that were supposed to expire anyway, for the wealthiest 2 percent of the population. What a total slime ball. 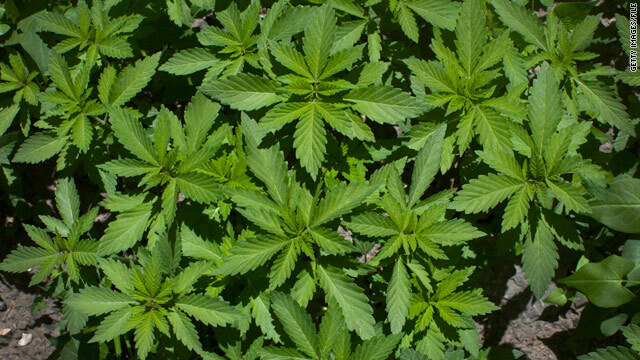 About 292,000 marijuana plants were found in the raid. Nearly 80 people have been arrested in the largest marijuana-eradication law enforcement operation in California history, several local reports say. About 292,000 plants have been discovered, Justice Department spokeswoman Michelle Gregory told the Santa Rosa Press-Democrat. Raids involving local, state and federal authorities have been going on for days in the Mendocino National Forest in remote, mountainous areas in Glenn, Colusa, Tehama, Mendocino, Lake and Trinity counties, according to the Tehama County Daily News. Officials are beginning the massive cleanup of the sites, which have suffered environmental damage, the Daily News and Press-Democrat report. The idea for the operation reportedly came after a public meeting in Covelo in north Mendocino County in 2010. Residents said that armed people had confronted them in and around the forest. Hikers and ranchers also said they had been shot at when they mistakenly walked into areas where marijuana was being grown, the Press-Democrat reports. It's unclear who the growers might be. Pot farms on national forests have been a problem in California and across the country for years. 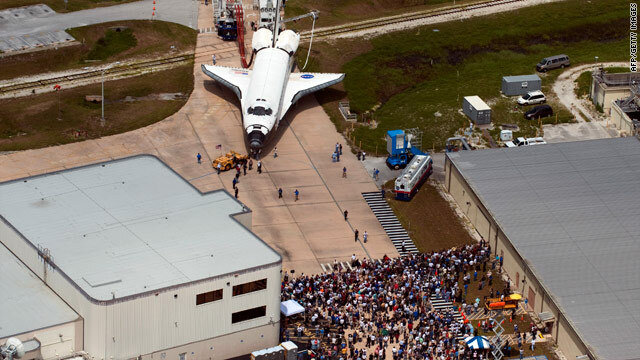 NASA workers look on as space shuttle Atlantis is towed back to its hangar on July 21 at Florida's Kennedy Space Center. NASA is holding a career fair in Cape Canaveral, Florida, on Tuesday to help its former contract employees to find new jobs now that the shuttle program is ending. Among those who will be rubbing elbows with government and private recruiters are some of the engineers NASA hired to maintain the shuttle's 20 different systems - "every part of the shuttle that required a team of engineers and technicians to get it ready for the next flight," said Lisa Malone, a NASA spokeswoman." Over the years, NASA has been downsizing those teams, with Cape Canaveral seeing the most layoffs, including 1,500 on Friday, Malone said. "I would say the lion's share of (the layoffs) has been in Florida," she said. According to a fact sheet from NASA, the agency plans to lay off 2.223 Florida "shuttle prime contractors" in fiscal 2011, for a total of 4,371 layoffs in Florida since 2008. At the end of the year, NASA expects to have laid off 9,425 shuttle contractors nationwide since 2008. In addition to engineers, NASA's contract employees included accountants, human resources personnel, "everything it takes to run an organization," Malone said. Workers have known about impending layoffs, in some respect, since President George W. Bush announced the end of the shuttle program, Malone said. She said NASA and the recruiters hope about 1,000 former employees will come to the career fair and apply for new jobs. 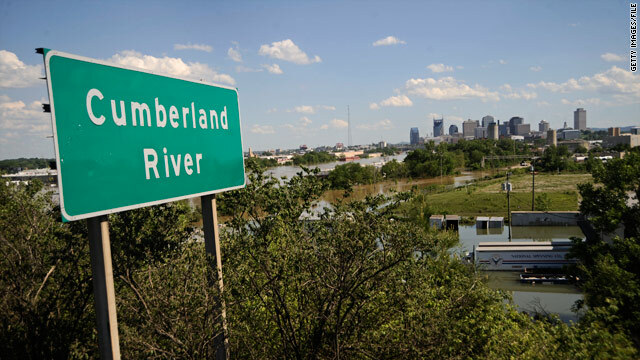 Toxic substances at Tennessee Valley Authority plants may be leaking into water systems including the Cumberland River, The Tennessean newspaper reports. Groundwater contamination that could cause a health hazard has been detected at nine Tennessee Valley Authority fossil fuel power plant sites, according to a new report from the Inspector General of the TVA, a corporation that is owned by the United States government. TVA provides flood control, navigation and land management to the state's river system. The levels of chemicals detected could possibly cause a health hazard, The Tennessean newspaper reports. One of the power plants is located about 50 miles northwest of Nashville. Among the chemicals found at plants: arsenic, nickel, selenium, beryllium and cadmium. 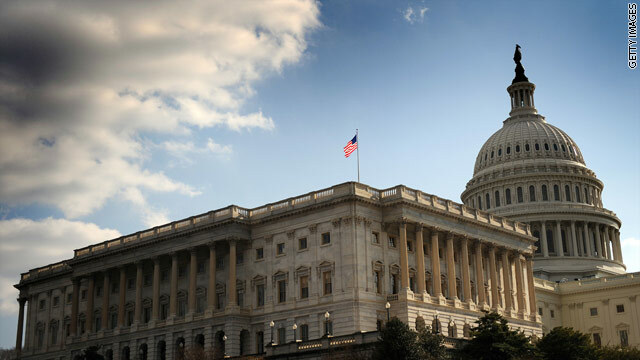 High-level debt ceiling talks dragged on between administration and congressional officials Tuesday as lawmakers struggled to devise a way to overcome deep partisan divisions and avoid an unprecedented national default that could now be little more than one week away. Publicly, neither Democratic nor Republican leaders indicated a willingness to consider the latest proposal put forward by their counterparts. Senate Majority Leader Harry Reid, D-Nevada, called a plan put forward by House Speaker John Boehner, R-Ohio, a market-rattling "short-term solution" that "really isn't a solution at all." Boehner called Reid's blueprint a "blank check" for more uncontrolled spending that would undermine the economy. Senate Minority Leader Mitch McConnell, R-Kentucky, called Reid's plan "another (Democratic) attempt to pull the wool over the eyes of the American people." Filed under: Barack Obama • Congress • Economy • John Boehner • Politics • U.S.
Seventeen people were killed and two injured in a prison riot Monday night in Ciudad Juarez, Mexico, officials said Tuesday. This story is developing. We'll bring you more information as soon as we get it. Norwegian massacre suspect Anders Behring Breivik was "a little bit surprised" that he was able to pull off a bombing and shooting rampage in which he is accused of killing 76 people in total, his lawyer said Tuesday. His client was surprised that his plan "succeeded - succeeded in his mind," attorney Geir Lippestad told a news conference, adding that Breivik had not expected he would reach Utoya island, where he is accused of shooting 68 people dead on Friday. Lippestad said it was too early to say if Breivik will plead insanity. Asked if his client was insane, he responded: "Yes, he may be." 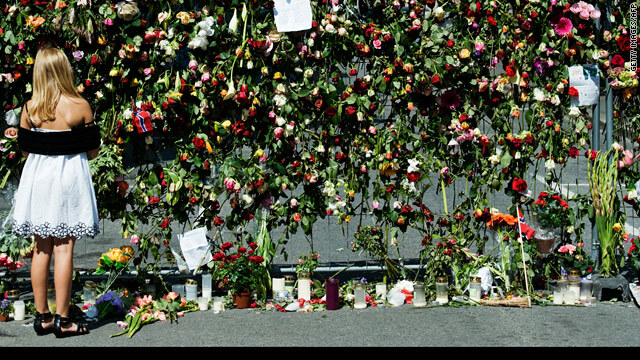 Lippestad said it was "very difficult" to describe Breivik's manner - "he is not like anyone." Breivik says he was in touch with two terror cells in Norway and in contact with other cells abroad, his attorney said, but that he acted alone in carrying out the attack on Utoya and the bombing in Oslo, in which eight people died. "He says there are several cells around the western world, where I do not know," Lippestad said. Breivik is cooperating with police inquiries, "but he won't talk about the other cells," he added. His client considers himself to be "in a war," Lippestad said. Breivik also used some kind of drugs before the attacks on Friday that were designed to keep him strong and awake, his attorney said. Clashes in Syria's streets have led to the deaths of 11 civilians since Friday, according to Local Coordination Committees of Syria, a dissident group. The organization said the deaths came during the violent government crackdown on protests that have sprung up in various cities including Aleppo, Deir Azzor, Daeel and Douma. CNN cannot independently verify the claim, and a government response was not immediately available. Government officials blamed the some of the violence on "terrorists," according to the state-run Syrian Arab News Agency (SANA). SANA reported Tuesday that the "terrorists" killed three security officials and two civilians. Even experienced surfers can run into trouble in unfamiliar waters. Several blogs are buzzing Tuesday after a Long Island math teacher and well known local surfer went missing Sunday off the coast of West Lampung, Sumatra. Waves are notoriously treacherous off that area of the Indonesian island. They are typically 12 feet or higher. CNN's iReport received a video of friends of the surfer holding candlelit vigil. Daniel Bobis, who taught at Long Beach High School, founded the school's winning surf team and the first competitive group in the state. A colleague at the school told the Long Beach Patch, a local news website, that the "rescue efforts are horrible there" because the area where he was surfing is so remote. "It was just a day like any other here," Brian Lonergan, another surfer who was with Bobis, told the New York Post. "Danny had just taken a wave before me. I couldn't see him, and a few minutes later, his board washed up on the shore." Lonergan, Bobis' wife, Rachel, and the owner of a surf camp where the three were staying scoured the beach for the next 11 hours, the Post reports. A rescue team began searching after that. Lonergan told the newspaper that the water wasn't particularly rough. "And there was nothing really abnormal about the size of the waves either. Danny is a really capable surfer and a really capable swimmer." He and the missing surfer's family are trying to work with local officials in Sumatra and get the United States Consulate to help by sending a rescue helicopter, according to the Post. 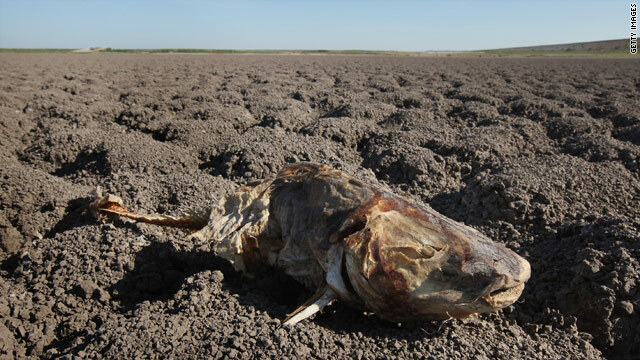 The remains of a catfish decay in a dried up lake in San Angelo, Texas, on Monday. Three things you need to know today. Heat wave: The deadly heat wave that has kept much of the eastern and central United States in its grip is expected to hold on longer in some central states this week. Parts of Kansas, Missouri and Oklahoma are under excessive heat warnings until the end of the week, the National Weather Service said. Those areas - including Wichita, Topeka and Goodland, Kansas; St. Louis, Kansas City, Springfield and Pleasant Hill, Missouri; and Tulsa, Oklahoma - should experience heat indices between 105 and 110 degrees on most days, the weather service said. Parts of Arkansas, Louisiana, Nebraska, North Carolina and Texas are under heat advisories for the remainder of the week as well, according to the service. They can also expect heat indices between 105 and 110 degrees throughout the week. High heat indices from Monday include Killeen, Texas, at 112, and Darlington, South Carolina, Duncan, Oklahoma, and Greenville, Mississippi, all at 110. India-Pakistan talks: India and Pakistan are set to open a new round of talks this week in the latest attempt by the Asian rivals to build mutual trust. No breakthroughs are expected in the bitter disputes that divide the nuclear neighbors, but some progress might come in the area of Kashmiri trade. Pakistan's Foreign Minister, Hina Rabbani Khar, will arrive in New Delhi on Tuesday, a day before she is scheduled to meet with her Indian counterpart, S.M. Krishna. Top bureaucrats from the two sides were in discussions in the Indian capital, New Delhi, ahead of Wednesday's talks. Polygamous sect leader's trial: Jury selection enters a second day Tuesday in the sexual assault trial of polygamous sect leader Warren Jeffs. Jeffs is charged with two counts of sexual assault on a child and one count of bigamy stemming from a 2008 raid on a ranch operated by his church. Authorities raided the Yearning for Zion ranch near Eldorado, Texas, and removed 400 children who they feared had been sexually abused. Some of the men at the ranch were charged with sexual abuse and most of the children were later returned to their families. The ranch is operated by the Fundamentalist Church of Jesus Christ of Latter-Day Saints, an offshoot sect of the mainstream Mormon Church. District Judge Barbara Walther told the pool of potential jurors on Monday that the trial could last two to three weeks.